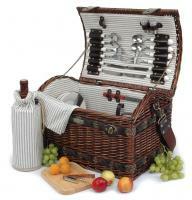 Take your picnic up, up, and away, to a great beyond of classic and time-tested materials! With the Classique Carrier, all the rugged individualism of the American tradition is distilled down into a multi-use four-person picnic powerhouse. 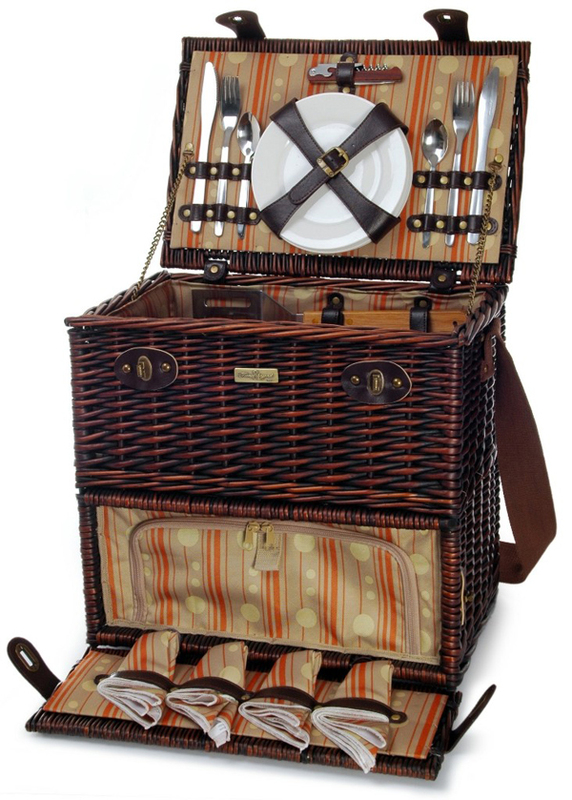 With a beautifully stained wooden wicker construction, fetching, patterned napkins and a coordinated liner insulation, the Classique is on par with the finest full-service picnic baskets available today. Includes specialized tools for BBQ service, a large insulated food compartment, and full service compliment for four. 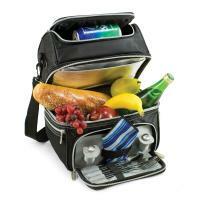 The Classique Carrier, from Picnic & Beyond! 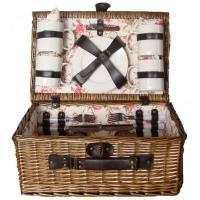 This is the perfect picnic basket. The picture is deceiving. 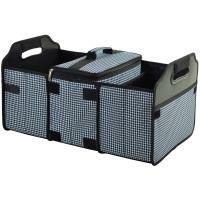 This basket holds a lot of food and is well worth the price...We love it! This basket has proved to be very good in all aspects. We love the separate insulation section in the bottom. The only issue we have had was the cane loops on the lid that touch the basket tops when closed, have cracked and will fall off soon. They look to be only be cosmetic and not structural so it is no great concern. Apart from that it is highly recommended. Basket was shipped with wrong size plates and had to connect representatives to resolve for correct plates.